Avoid boring presentations: use graphics instead! These information visual designs will allow you to present complex information quickly and clearly in an easy to understand visual manner. You can custom your own data with pre-designed and embedded data-driven charts. 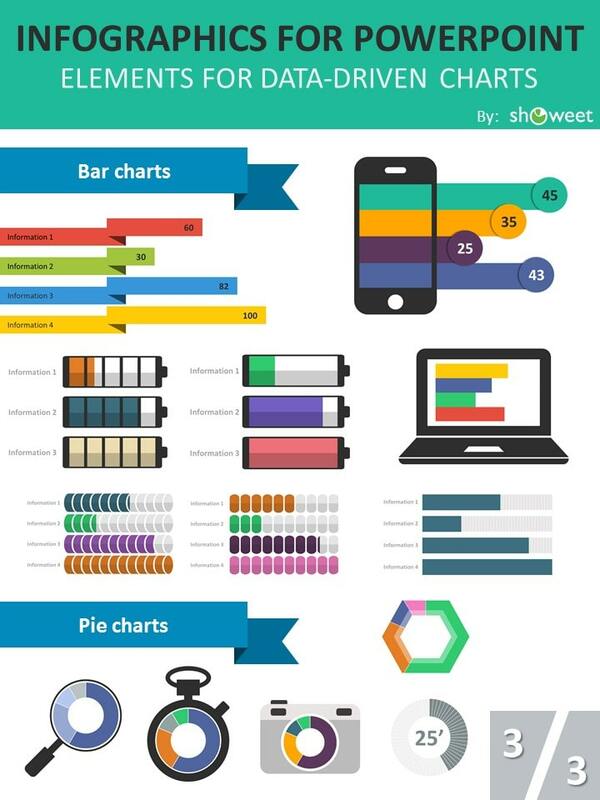 These infographics templates include 43 pre-made charts: simple and advanced charts (e.g. radial charts), Males vs. 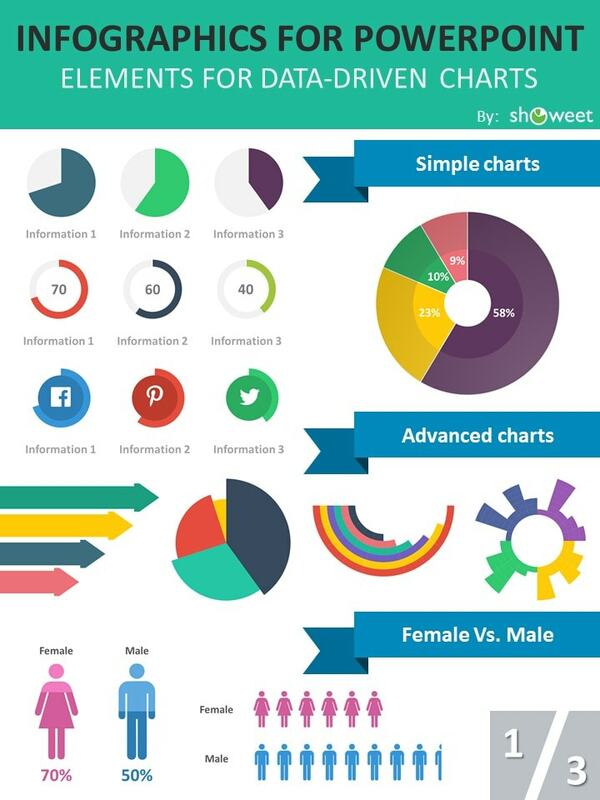 Female infographics, and beautiful designs using column, bar and pie charts. Also comes with Windows Metafile (WMF) graphics: you can insert them on your PowerPoint document, edit them and optimize the colors as needed. 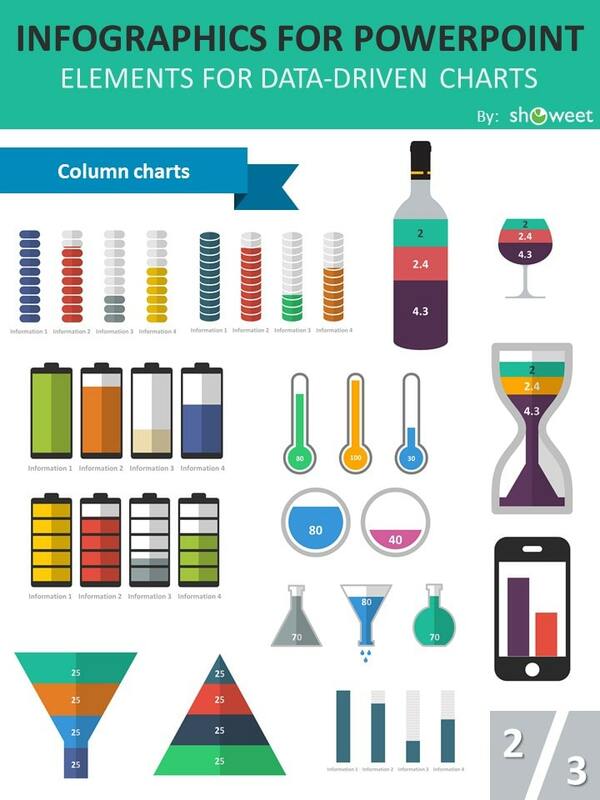 Download the ‘Charts & Infographics PowerPoint Templates’ for free! This is amazing. Solved my urgent needs of last minute presentations to be presented in office. Quickly editable and free. One of the bests I found! @Aditi Gupta: Hello, very glad these templates helped you out… thank you for your comment! These are amazing stuff! Thank you for freely sharing this! more power! These are some of the best template I’ve seen …thank you so much.. Thank you for these! SUPER COOL! Keep up the good work! I’ve been searching for men & women icons & diagrams related to them & you’ve made my day! @Vladimir: very glad this one made your day…! Hey – these look lovely but how do you edit the data? I get a message to close the dialogue box!!! Hi matthew, which PowerPoint version are you using? Normally just right-click on the chart and then “edit data”… if you have an old PPT version, this functionality may not work. awesome. thanks a ton. this is really helpful. you are a lifesaver. I find your website very helpful. I really appreciate your effort, professionalism and dedication. Thank you so much! Hi Thuy Dung: thank you for your comment! Thanks ,Very nice and very useful. It is amazing that you share this kind of things for free! Thanks a lot. Its very helpfull. Thanks a lot. It’s really nice and kind of you sharing stuff with us. I’m so happy to find this. Thanks for all the works! Hi @John, sorry, we don’t have online training… If you have questions on how to use them, don’t hesitate to ask. *Awesome! Very useful for my study. Very helpful and beautiful. Kudos! keep it up! tqvm on this very interesting infohraphic.. Thank you very very much for this excellent service. Delighted.